Rising early in the morning is one of the most productive disciplines a young person can establish. 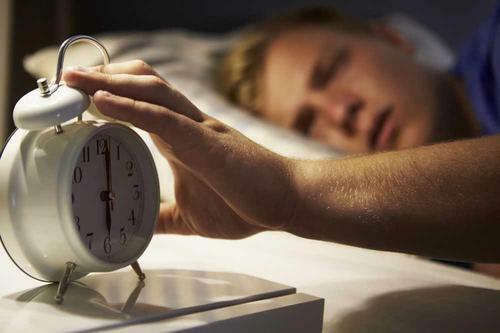 Help a teen realize what he will gain by getting up early and what he will lose if he habitually sleeps in too late. This discipline begins with getting to bed early, so be sure to help him understand the foundation he needs to be successful. Motivating others to do what is right begins with the example of your own behavior. Jesus Christ taught by example. He said, “For I have given you an example, that as I have done to you, so you do also.” (John 13:15). Similarly, Paul told those he discipled to follow him as he followed Christ. "Be ye followers of me, as I also am of Christ." (I Corinthians 11:1.) When you consistently rise early, you can share from firsthand experience how the discipline has benefited your life. Your actions will convince the teen that it can be done. Ask God to protect the teen from every wrong influence so that he will be open and responsive to the truth. Ask God to give him wisdom and grace to rise early. The value of reading biographies is explained in this proverb: “He that walketh with the wise, shall be wise . . .” (Proverbs 13:20). Encourage the teen to begin by reading Biblical biographies of early risers. I recommend using a Strong’s Exhaustive Concordance. Look up the word early and identify passages of Scripture that tell about Godly individuals who got up early in the morning. Read their stories and learn from their examples. Share Insights About overcoming Slothfulness. If a teen is in good health but does not want to get out of bed in the morning, it is likely that he tends toward slothfulness. God gives some vivid descriptions of slothfulness in Proverbs: “As the door turneth upon its hinges, so doth the slothful upon his bed.” (Proverbs 26:14). Help the teen understand the dangers of slothful behavior and the rewards of diligence. Success in getting up in the morning is largely determined by what preparations are made the night before. These preparations should include a well-thought-out schedule for the next day, an agreed-upon time to get up, and a selection of the clothes you’ll wear. Avoid leaving energy-taking decisions for the morning so that when you wake up you are free to focus on the Lord and spend time in Scripture and in you prayers. Just as it is important for a teenager to trust his authorities, it is important for his authorities to understand him. If the teen continues to resist getting up on time, find out what is motivating him to stay in bed. Is he not getting out of bed because he did not get enough sleep, because he doesn’t want to face the day, because he doesn’t have motivation to get up, because he is sick, because he is demonstrating rebellion, or for some other reason? Ask why and then listen. Address the hindrances he faces to getting up on time.